Team USA hopes to join the 1980 squad in reaching the top of the medal stand. 33 years ago in the small village of Lake Placid, N,Y the United States hockey team pulled off one of the greatest upsets in amateur hockey history when they downed the vaunted, powerful Russian team. Announcer Al Michaels shouted “Do you believe in miracles?” as the clock wound down on Team USA’s 4-3 victory that set them up to win the gold medal. They did just that with a come from behind 4-2 win over Finland two days later. 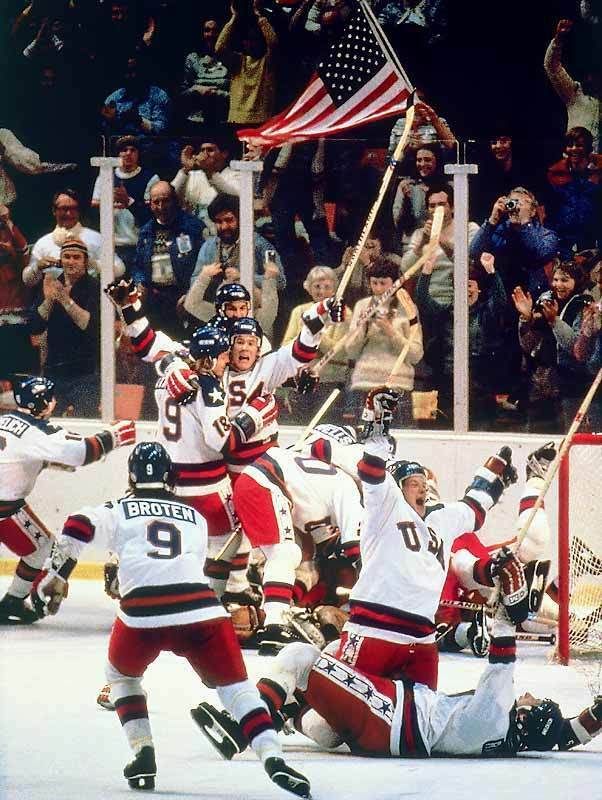 That was the last time the United States won the men’s hockey gold medal. They came close in 2010 when they lost a heart breaker in overtime to Canada 3-2 in the gold medal game, but the squad has won the gold just twice since 1960. A determined, interesting mix of players traveled to Sochi, Russia to compete against top international competition comprised mostly of NHL players. Four years ago Ryan Miller practically stole the Gold Medal from Canada all by himself. He produced a 1.35 Goals Against Average (second only to Henrik Lundqvist of Sweden’s 1.34) and stopped a tournament best 94.5% of the pucks directed towards him. Pittsburgh Penguins and US head coach Dan Bylsma and his staff have a big decision to make regarding who gets the bulk of the playing time, Miller or LA Kings goaltender and 2012 Stanley Cup winner Jonathan Quick. The 28-year old netminder got off to a slow start and then missed a month and a half with a groin injury. Upon his return, Quick held opponents to 1.85 goals per game through 13 January contests. (His 2.68 GAA in three February is skewed by the five goals he allowed in one contest vs. the Blackhawks.) Miller has had the unenviable task of trying to keep a terrible Buffalo Sabres team – 14 wins in 51 games – from completely imploding. Miller has also been the subject of trade rumors as the Sabres look to rebuild for the future. Jimmy Howard of the Detroit Red Wings returned to action on Jan. 28 after a week out with a hip flexor injury. He backed up Jonas Gustavsson against the Philadelphia Flyers, but started three games thereafter and combined on a shutout with Gustavsson after the latter had to leave the game after one period. Howard is number three on the depth chart and may see little or no playing time at all. Despite the play of Miller four years ago, the gut feeling here is that Quick will be the #1 man between the pipes. He’s already been selected by Bylsma to start the first game of the tournament Thursday morning. Number 88 of the Chicago Blackhawks has been tearing up opponents in the NHL , so it’s good timing for Patrick Kane to be suiting up for Team USA. Kane, who missed the Blackhawks last game prior to the break due to the death of his grandfather, has wracked up 63 points in 59 games. After a lackluster January, Kane found out that his grandfather died on Feb. 3 and took his out grief on the LA Kings with two goals and an assist. He’s the key forward to Team USA’s success. The leading US scoring entering Olympic play was the Maple Leafs’ Phil Kessel. The 26-year old got off to terrible start in last season’s strike shortened campaign, but burst out of the gate this season with 10 goals and 9 assists in the first 20 games. His 65 points (31 goals, 34 assists) in 60 games is the fourth best overall total in the league. Team USA will also be looking to Toronto Maple Leaf winger James van Riemsdyk to add some scoring punch as well. The New Jersey Native is having a career year with 24 goals and 47 points in 58 games. Team captain Zach Parise and right wing Ryan Callahan will bring their hard nosed NHL play to the larger international rink. Parise led the US with four goals in the 2010 games and sent the gold medal game with Canada to overtime with a late game tying goal. (Click here to check out Alli Baker’s profile of the US captain and Minnesota Wild star.) Callahan’s penalty killing ability and fiery play will be a huge asset to the US squad. Among those manning the blue line for the Americans will be assistant captain Ryan Suter, who played on the silver medal winning team in Vancouver four years ago. The Minnesota native is sixth in points among US born defensemen and 14th overall with 33 points. More than his point scoring ability, Bylsma will be counting on Suter for his leadership on the ice and in the locker room. At 29, Suter is only the third oldest blue liner on the team. Pittsburgh Penguin teammates Paul Martin (32) and Brooks Orpik (33) lend more experience to Bylsma’s roster, even though this is Martin’s first Olympic experience. Youngsters Ryan McDonaugh (NYR), John Carlson (WASH), and Cam Fowler (ANA) have combined for 35 power play points this season and are the key point men when Team USA has the man advantage. 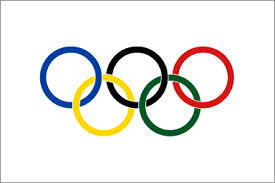 It won’t take a miracle on ice to capture the gold medal, but it will be a monumental task with the likes of powerhouse teams from Canada, Sweden, and Russia. It’s the reason Vegas odds-makers have the US as the fourth favorite behind the aforementioned three teams. Drew Sarver is the publisher, managing editor, and a contributor for Designated For Assignment. He can be followed on twitter at @mypinstripes or contacted by email at dsarver@d4assignment.com. When people think of the stars of the National Hockey League, names like Sidney Crosby and Patrick Kane come to mind. Nobody ever says “Zach Parise is one of the greatest players in the league”. That’s because Parise is one of the most underrated players in the NHL. Parise may not be a 40-goal scorer or have ridiculously impressive numbers like some of the other guys, but he brings much more to the table than just the ability to score. Parise is a highly intelligent player with the ability to protect the puck and get it in and to the net, regardless of the circumstances. Team USA knows just how much of an impact a player like Parise can have. For the past two years with Minnesota Wild, Parise has demonstrated that he can be a game-changer, and he looks to do the same at this year’s Winter Olympic Games in Sochi, Russia. Zach Parise has proven he’s capable of winning gold. 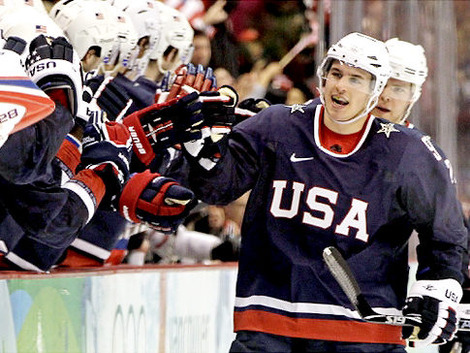 Now, as captain of Team USA, Parise hopes to lead his fellow Americans to victory at the 2014 Sochi Olympics. Regardless of whether Team USA wins gold or not, Captain America, Zach Parise, is bound to make an impact on the outcome.